TWITTER, FACEBOOK QUIT Censoring Conservative Voices! are you next? Tired of being Shadow banned and censored by social media? Help Peter Boykin find and pay for legal defense against social media! Who needs Russian Collusion when you have Twitter directly messing with a political campaign! Fyi in case you want to help get this story to them here are the contacts! Trump Supporting Republican is being harassed and supressed by social media. Peter Boykin is someone who has lost 2 jobs and is struggling to make ends meet. Meanwhile, Peter Boykin is still is attempting to run for office in a district where the odds are stacked against him (and no other Republican has ran in over 10 years) and the position really pays nothing. Yet Peter Boykin still pushes because he is a patriot loves America and wants to make America great always for everyone! Peter Boykin was messaged by a Transsexual who called him a cis white “[email protected]” who should just die. Peter reported to Facebook they said there was not enough info. They did nothing. 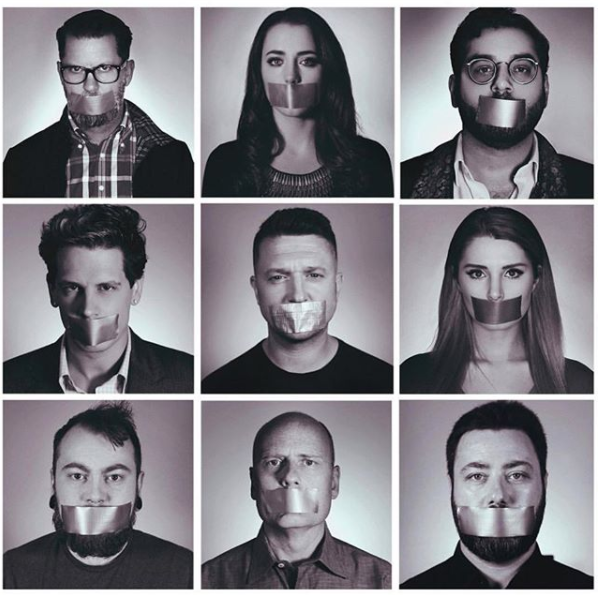 Yet the screenshot of the message to Peter he posted on his wall to show the types of messages sent to him was removed by Facebook and Peter got a 3-day ban. We call that punishing the victim for reporting and letting the offender walk Scott free. Next issue recently a cyber stalker infiltrated Peter’s friends and groups and proceeded to post inappropriate pictures and then harassed multiple members and friends of Peter and some were sent attempts to extort them out of money to delete the offending account. That account even changed their name to Peter Boykin to further cause an issue. Multiple individuals reported the profile and pics and even Peter Boykin received reports from Facebook that the pics or profile didn’t go against community standards although they were used to harass and cause harm to Peter Boykin. The account was not removed but only after Peter Boykin posted he was calling the law. It’s also extremely inconvenient when there is no number or anyone to contact to fix the issue. It why something/someone has to put a stop it. I hope if we go with #DACA we go case by case and explore their social media for this kind of stuff. 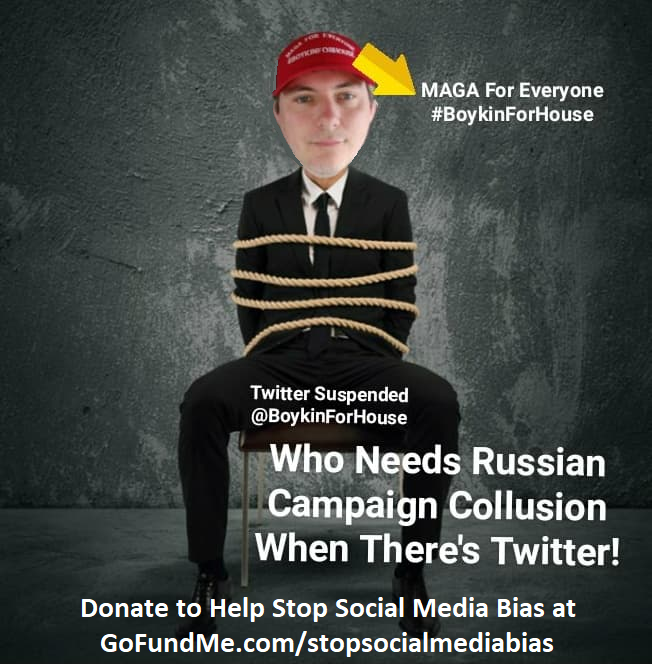 Last is Twitter removing the @BoykinForHouse political campaign Twitter handle of Peter Boykin while he is running for office. This causes issues to a campaign. Peter Boykin is unemployed and seeking employment in the IT field or working in a political capacity. He is fully doxed and quick Google searches of him might be a reason he is finding it hard to get a job although he has many years of experience and two Masters. Peter Boykin needs your help to find legal counsel against social media and to find a job. Will you chip in? The FIGHT FOR OUR Internet Bill of Rights! Those of you that say that social media is a private company and use that defense.. If the mail said they would not deliver mail for conservatives… When there was only mail…. All these are private businesses (post office is an argument) but also they can form monopolies and they are and were at times the only or best way to communicate. So why would you think it would be ok for social media (just look at what Google owns) to monopolize our current social communication and is ran by strict liberals then block conservative voices. I’m sorry folks the private argument does NOT work! These forms of communication are extremely important today just as those others were back then. We cannot sit back and allow social media to limit or silence our voices. We must find them accountable! Peter Boykin needs your help. Please chip in and donate to help the cause! If you want to Donate to Peter Boykin’s Campaign for NC House District 58 Please do so ONLY at this site.